Granite benchtops remain a favourite for those who want the elegant look of natural stone. 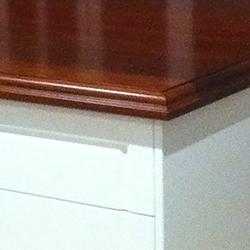 It’s one of the hardest materials available and, if cared for properly, can look good for many years. Pros: Comes in beautiful colours; very durable; difficult to scratch. Cons: Porous; has joins; colours and patterns can differ from the showroom sample. Cost: Relatively expensive. Usually around the same price as engineered stone, slightly cheaper than solid surface, but much more expensive than laminate. Tips: Go to the fabricator’s workshop and choose the actual slab before its installed as it may look very different from the showroom sample. Engineered stone is made of quartz or granite granules, marble dust or glass chips mixed with a resin or polyester base. It includes the brand names CaesarStone and SmartStone. It’s a relatively new product but its appearance and durability have made it a popular choice. Pros: Doesn’t have to be sealed; large variety of colours and patterns; difficult to scratch. Cons: More expensive than some other materials; uniform look isn’t for everyone. 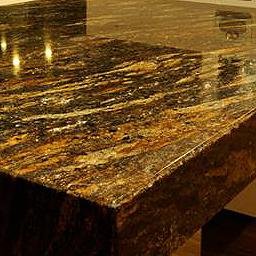 Cost: Generally around the same price as granite, depending on the style you choose. 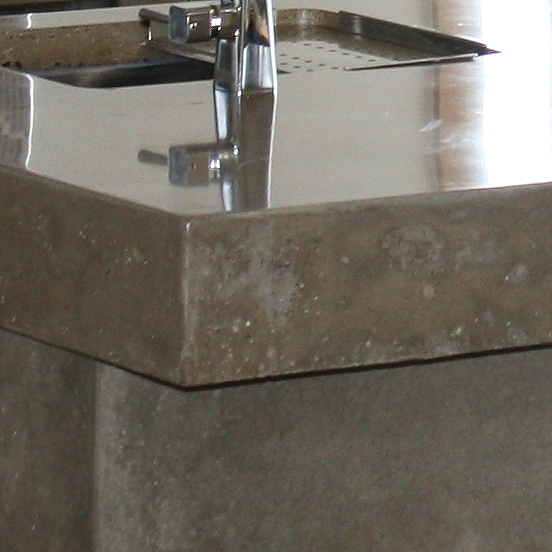 There’s a reason that marble counters are generally found in bathrooms rather than kitchens. 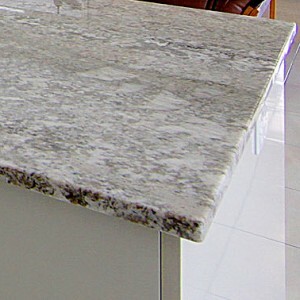 While it may look classic and beautiful, marble lacks the durability of granite and has a tendency to stain and scratch. Pros: Good surface for rolling dough and making pastry; looks good. Cons: Not scratch or stain-resistant; not as durable as granite; requires regular resealing; is sensitive to acidic foods and some cleaners. Cost: Marble is usually more expensive than granite or engineered. Tips: You may want to put a marble inset into a benchtop of another material for rolling pastry, but this will create joins where dirt can be trapped.